has a rich African history. The African women who mostly walk kilometres where ever they want to be still carry their babies on their back today. 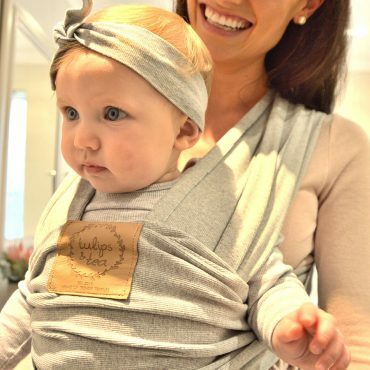 With a cotton bath towel they tie their baby to their body. Let us honour them for this great initiative. 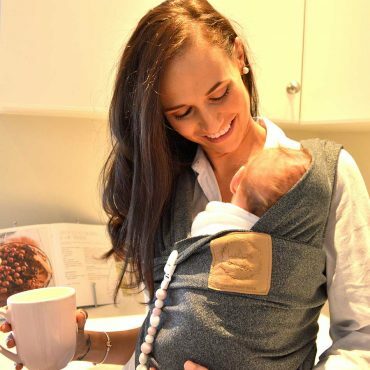 The Tulips & Tea Baby Wrap Carrier is made of a long, 5m, piece of stretchable, but durable fabric for you to wear your baby in up to 8 wrapping styles, and to enjoy all the advantages of having your baby so close to your body. 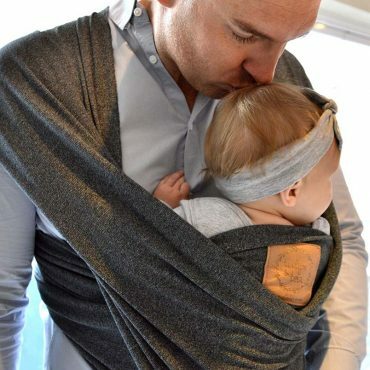 Your baby wrap is locally weaved and made from a mixture of Cotton. This is a superior quality material that will not wear out easily, although it has a four-way- stretch. 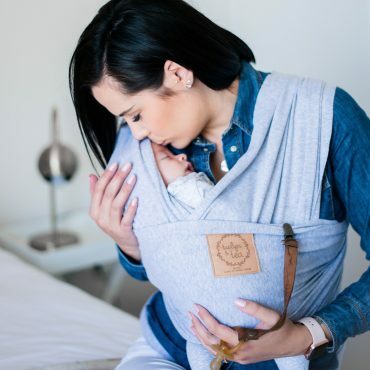 For the comfort of your baby there are no buckles or clasps. 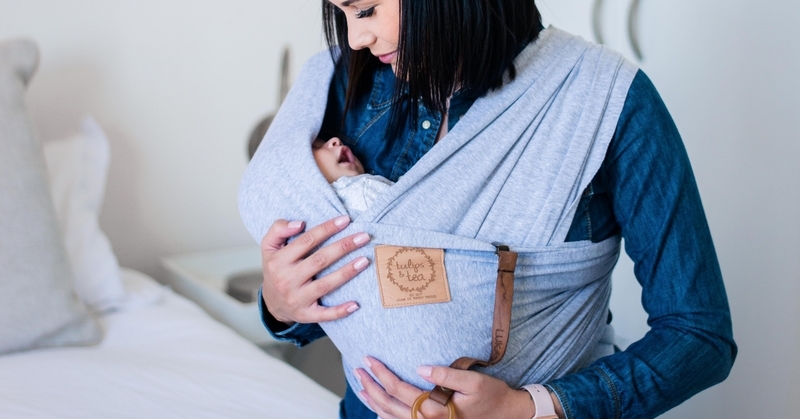 The genuine leather label on your baby wrap is treated to be infant-friendly. We use the tummy skin of sheep or game, being the softest leather to soothe your baby. 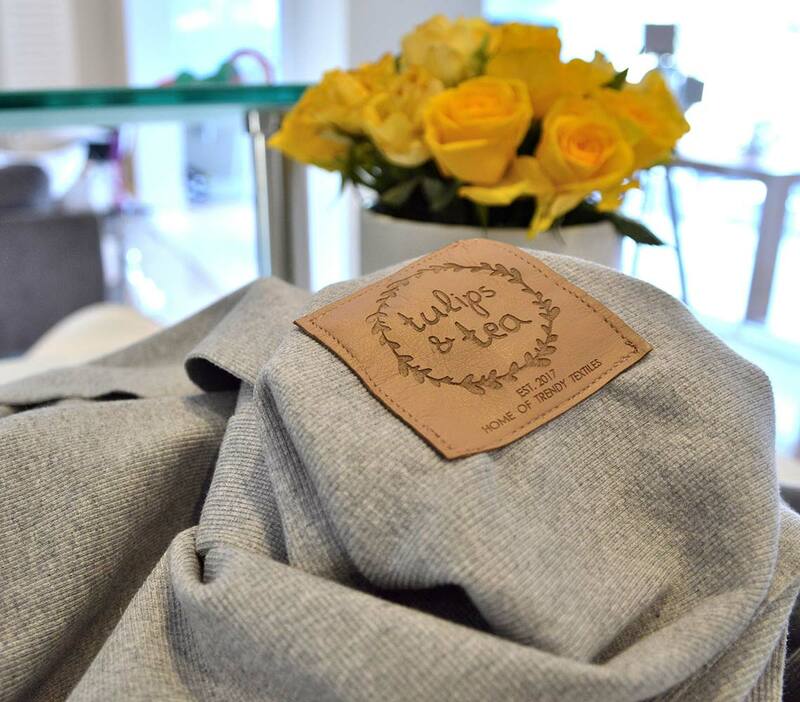 Your Tulips & a Tea Baby Wrap Carrier is ‘One size fits all’, being 5 metres long and 55 centimetres wide. We advise a 10kg weight limit. The label is treated so that it will not stain the material, whilst being washed. The cotton will shrink if you use a tumble drier. 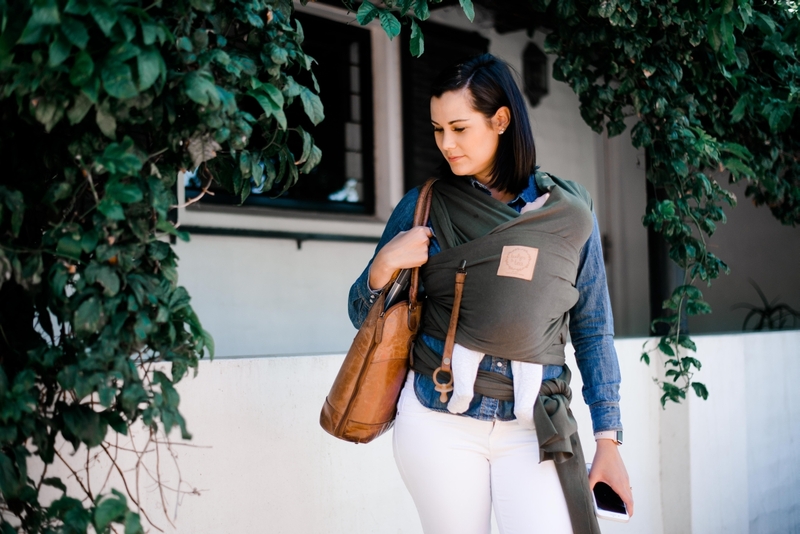 Suitable for every busy Mommy or Daddy. Stylish has not been this easy! 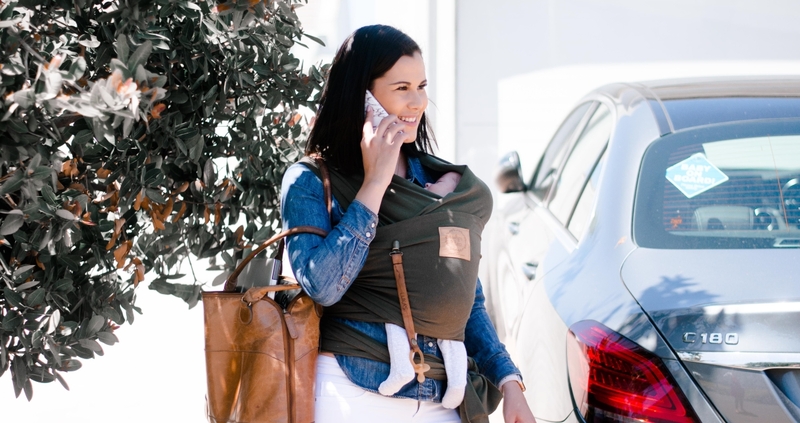 It looks fashionable and it covers all the post-maternity love handles. It gives you your hands back! A superior quality material for the comfort of your baby. No strain on Mommy’s posture. Up to 8 wrap styles to match your daily activities & lifestyle. Your baby will feel close & secure whilst being so close to you. Resulting in a happy, no-cry baby. 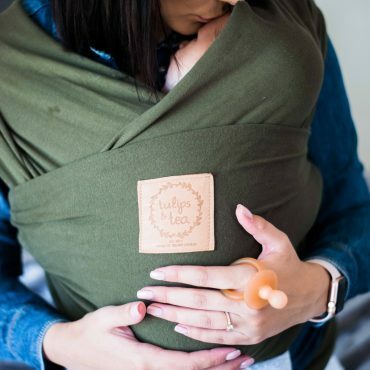 Your baby will never miss a nap again. Your baby develops communication and balancing skills faster than other babies.